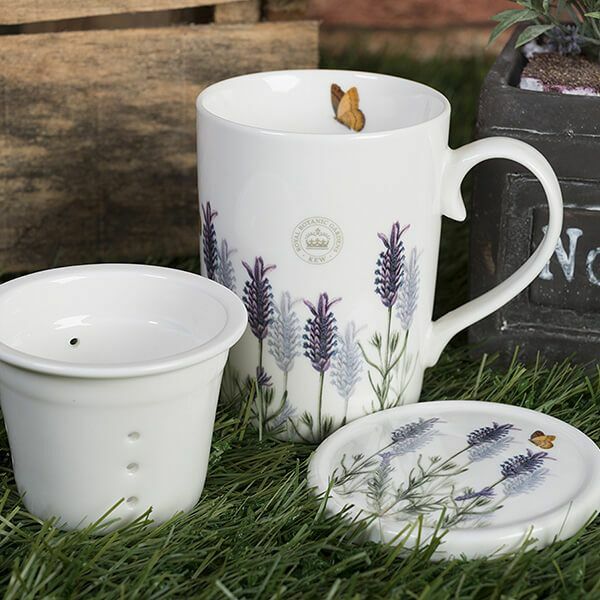 This Royal Botanical Gardens Kew Lavender Mug Set features the dusky colours of lavender with enchanting lilacs and butterflies inspired by the Kew Gardens art and archives. 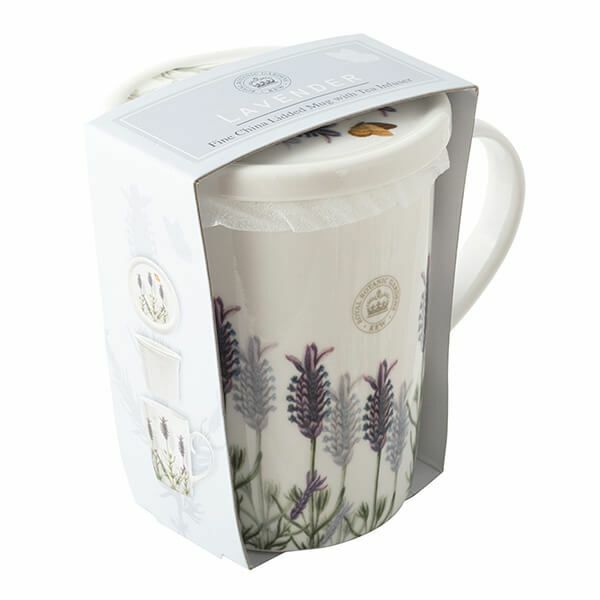 Including a Mug, Coaster and Infuser this set is perfect for a cup of freshly infused tea anytime. The set stores away together for saving space. 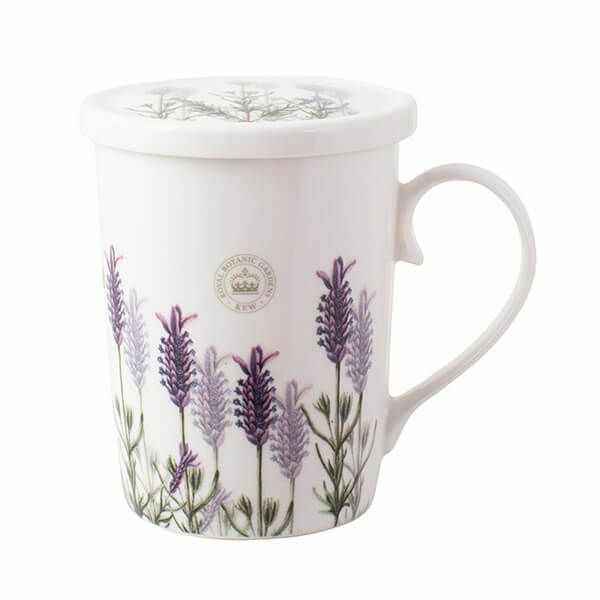 Small neat mug. Nice gift.